This is a quick and minimally invasive procedure used to minimize moderate to severe frown lines via a few tiny injections into the muscles. For those who feel hesitant about the use of oral antibiotics or Accutane for treatment of cystic acne, now there is a new and successful alternative available. Special treatments can be used to clear up the large, red, painful cysts in a series of three to four treatments per area. Fillers restore volume to the skin, giving it a smoother, more youthful appearance. They are also used in wrinkles, lips, and folds such as nasolabial folds. They are also used to life the face a create a more youthful look in a non-surgical way. Leg veins can be managed easily and permanently with in-office procedures. This can be accomplished by either laser or injections or a combination, depending on what is individually appropriate. Depending on your lifestyle, Dr. Marraccini can help provide lackluster, dull skin with new vitality. Photo-facials, HydraFacials, a variety of peels, and other state of the art techniques will help you customize a more youthful look. Photo-facials, using pulsed light, help stimulate the skin to produce new, healthy collagen normally found in younger skin. A bonus benefit is that facial blood vessels and redness also disappear with Photo-facials. This award-winning treatment merges invigorating spa therapies with advanced medical technology to enhance skin health. HydraFacial uses Vortex-Fusion technology to cleanse, extract, and hydrate. This multi-step treatment removes impurities and dead skin cells while replenishing skin with vital nutrients, leaving skin beautiful and recharged. We offer a variety of peels to meet each individual’s needs such as, acne, fine lines, hyper pigmentation, and the overall luster of the skin. 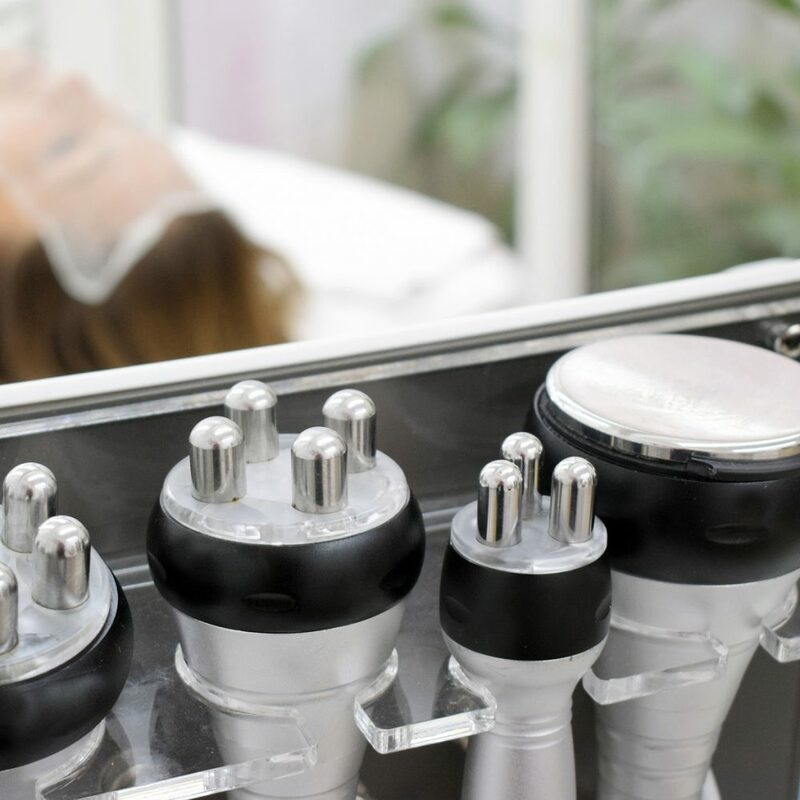 This treatment addresses acne scars, stretch marks and promotes deep collagen stimulation. This is a safe, non-surgical ultrasound treatment that counteracts the effects of time and gravity on your skin. Ultherapy uses the body’s own regenerative response to gently and gradually lift skin on the eyebrow, under the chin, neck and smooth lines and wrinkles on the decolletage.